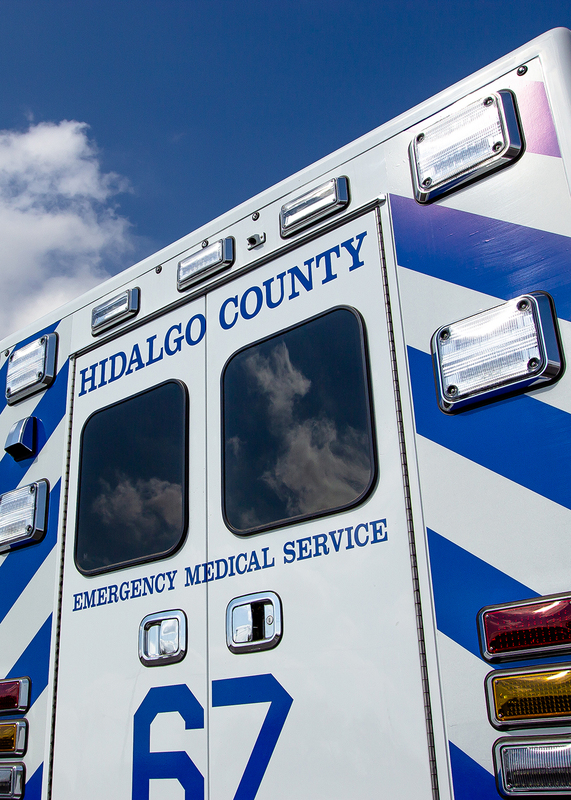 Established in 2007, Hidalgo County EMS and South Texas AirMed has grown to over 350 employees with a coverage area of over 6000 square miles over eight South Texas Counties. With 350 highly trained staff members ranging from EMT’s, paramedics, licensed paramedics, flight paramedics, registered nurses, and support personnel, Hidalgo County Emergency Service Foundation brings the unmatched abilities to promote, extend, and save lives in the Rio Grande Valley. In addition to having state-of-the-art ground and air transport emergency ambulances and the extensive support systems needed to protect and save lives, Hidalgo County EMS/South Texas Air Med also employ the highest principles and uncompromising standards deserved by their patients. Hidalgo County EMS/South Texas AirMed have launched the availability of ground critical care units and fixed wing propellor aircraft ambulance services, which are unmatched in our medical profession in the Valley. They are the first 911 and patient transfer firm south of San Antonio which has this superior quality of services. They are licensed and recognized by the Texas Department of State Health Services, and their MICU licensed ambulances are equipped with the latest technology.